Planning on moving to a new house? It’s common to hear people complain how stressful moving house hold possessions and valuables to a new house is. But, moving household goods should not be stressful at all. If you use a good quality removal company and are organised, you can significantly minimise the stress and reduce the risks involved in the move. It is, therefore, vital that you find not just a good quality removal company, but also the cheapest movers UK to ensure your move is as painless as possible. The British Association of Removers (BAR) is the umbrella body of removal firms in the UK. When you choose a removal company that is a member of BAR or any other equivalent trade organisation you are guaranteed minimum risks and stress levels during the move. That’s because BAR members are held to a high standard of conduct and professionalism, including the use of roadworthy, licensed transit vans and provision of a clear route of redress or complaint should anything go wrong. Small removal firms, commonly known as ‘man van’, are very often some of the cheapest movers in the UK because they don’t directly employ their staff. They simply hire casual labour as and when the need arises. This labour is often not professional or competent enough, which means your possessions may not be packed well or treated with respect during the move. Hire a company with a full time crew who will not simply move on once they've done the job. 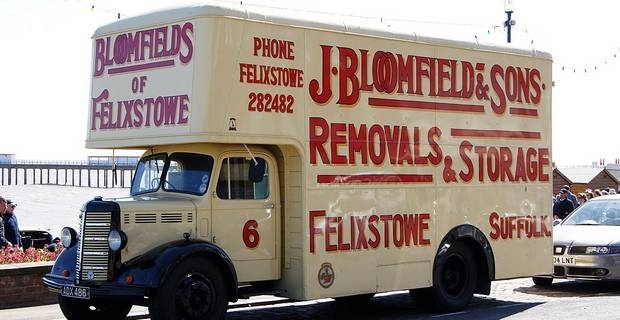 Some removal companies will move you for cash no questions asked, but it is worth thinking about what your possessions are worth and what you could be risking should the worst happen. Don’t just find any “bloke who seems friendly who has a van” and trust them with moving your valuables. At the very least hire a company with clear contact details that offers a signed agreement clearly stipulating the service that will be provided before you can trust them to move your valuables. The cheapest movers with the lowest price quote for the service might end up being the costliest if they are not professional enough. That being said, if you only have a few rooms of effects to move, it might be a good idea to hire a van for a few £100 and move things yourself. A small 'man and van' type firm can also come in handy in this case if you are willing to apply some elbow grease. However, if you have high value items like artworks and pianos that need extra care, and you want the convenience and protection of a professional crew packing for you, then opting for a qualityremoval company is essential. A quality removal company will ask to visit your residence to assess the task at hand so that they can set an accurate price. The price range for moving in the UK is anything from £500 for a small 2 bed house to several thousand for extra large houses and complicated long distant moves. It is important to shop around for the best option for you, keeping in mind the key signs of a good quality removal firm mentioned in this guide. And always bewary of cheapest movers in the UK giving rough price estimates over the phone. There is just no way they can factor everything in without first sending an expert estimator to see your property.